12 long carry arms easily accommodate a wide range of bicycle styles. 11.5 wide carry arms for greater bike compatibility. 12 long carry arms easily accommodate a wide range of bicycle styles. 11.5 wide carry arms for greater bike compatibility. Added side straps for lateral stability. 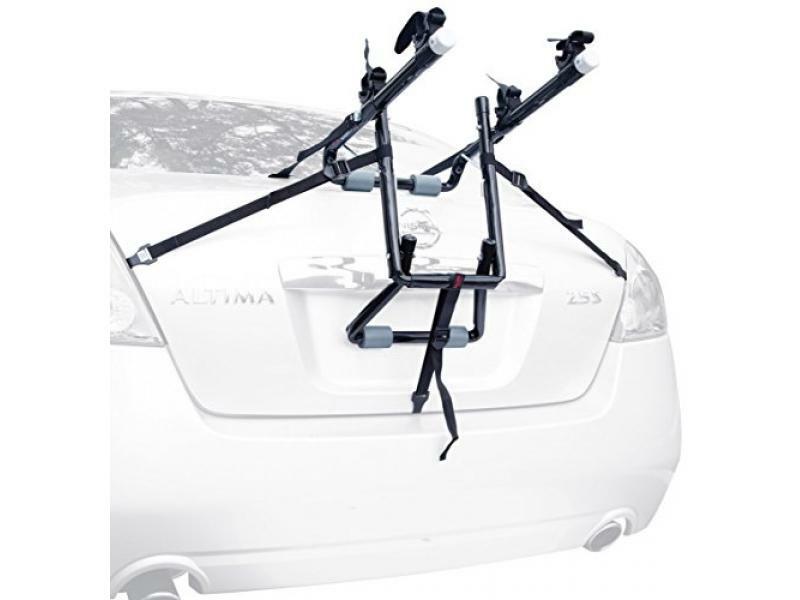 Patented tie-down cradle system individually secures and protects bicycles.